Let the countdown begin: For the fourth year consecutive we have the pleasure to host a dinner with one of our favourite Aussie wineries, Vinteloper by David Bowley, on the 25th of October. Only a few weeks to go! If you have attended any of our previous Vinteloper dinners, you already know how much fun we all have receiving David at BahBQ and tasting his wines. 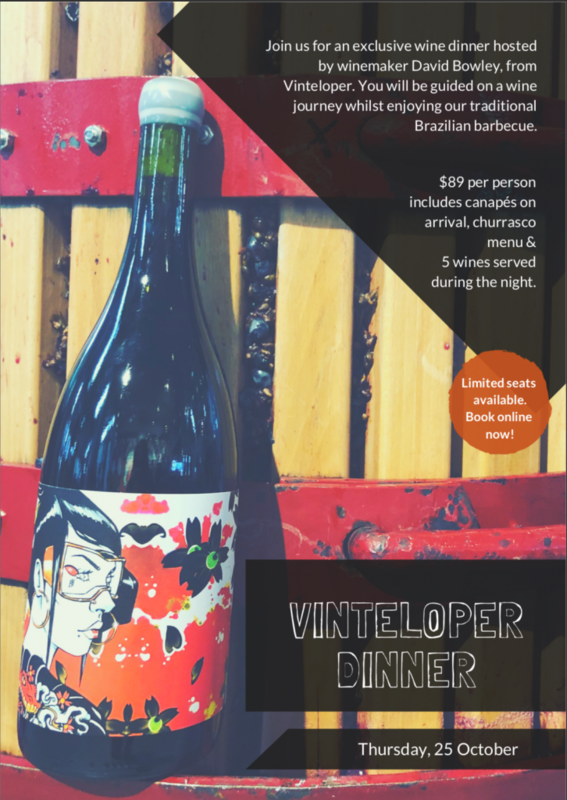 But if you haven’t, don’t miss out on this opportunity to match our Brazilian barbecue with five wonderful Vinteloper wines. Book your table now!